The Genealogy Gems Podcast with Lisa Louise Cooke - Your Family History Show: Episode 117 Should Your Genealogy Research Flourish? If your genealogy society doesn’t have the budget to fly out speakers in person, webinars are a fantastic alternative. Find out more about how to book for to speak to your group. AppList for Hobbies has finally been released! We also had some exciting news around here recently. Appadvice.com published their AppList for Hobbies and named the Genealogy Gems Podcast app as a must have for family history. In other genealogy news, Ancestry made an interesting move recently. They decided to put out a press release about the fact that the images and indexes to the 1940 U.S. Federal Census will be made free to search in the United States when it becomes available in mid-April 2012. Interestingly it was just before Archives.com made their big announcement that they are going to be addint the entire US Federal Census to their website. I blogged about this at length in an article on my website called Archives.com Makes their Big Move. It really is going to be interesting to see Archives approach to challenging the Big Fish, and Ancestry’s response to being challenged. Footnote.com has decided to focus primarily on military records, and they have a new name for it that reflects that. Footenote.com will now be known as Fold3 which comes from the third fold in a traditional military flag folding ceremony. To learn more about vital records check out my Family History: Genealogy Made Easy Podcast series. Episode 3 focuses on the search process and specifically death records. In addition to standard genealogical searching methods, focus on unique identifiers about the man. A name of one of the boyfriends siblings? His father's occupation? One of their neighbors? How far he lived from her? Something that can be used to narrow down the right man in the census. When things look the same on the surface, we need to find what is unique about them and follow that lead. Good luck Maria! Published family histories are wonderful finds, and yet they can have errors or omissions. First I would spot check a number of the sources to see if they are verifiable and accurately recorded. Ideally you would verify all of them, but realistically that is difficult to do with lengthy published works. Also published and properly cited family histories are in a different category than a family tree published online, which can be notoriously inaccurate and not properly sourced. 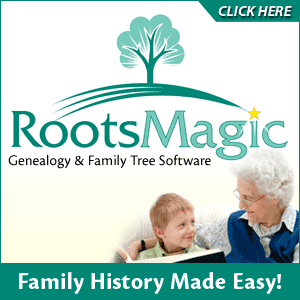 It's very easy for errors to get picked up and added to an online family tree. I would recommend that you read the article Using Published Family Histories from the Mar-Apr 2002 issue of Ancestry magazine, page 46 free on Google Books. And as for proper citations, the go-to book is Evidence! Citation & Analysis for the Family Historian by Elizabeth Shown Mills. Ericson in California wrote to tell me that he’s been bit – hard! He writes: “Thank you for all the guidance and inspiration you have given me. In a matter of six months, I've caught-up listening to your Family History podcast, Family Tree Magazine podcast and the Genealogy Gems premium podcast. To date, I have cataloged 265 individual relatives. My parents think I've gone off the deep-end with this bug! But in reality "distant cousin" makes the point and can be less aggravating for all concerned! GEM: Should Your Genealogy Research Flourish? My good friend Dear MYRTLE joins me in this episode to discuss a listener's question about the abbreviation "fl" which stands for "flourish." Check out DearMYRT's blog post with all the details on the history of the term and genealogy experts opinions on it's use in our research. Myrt also gives us the scoop on the Genea-Quilters 1812 Preserve the Pensions Quilt. "Our Genea-Quilters Group on FB has just agreed to support the Federation of Genealogical Society's 1812 Preserve the Pensions by doing a quilt. We're very excited about this project, and find it a wonderful way to support this wonderful digitization project. The records will always be free.